Recently at LinkedIn, we sought to discover how people change jobs -- data that obviously has tremendous value to recruiters. 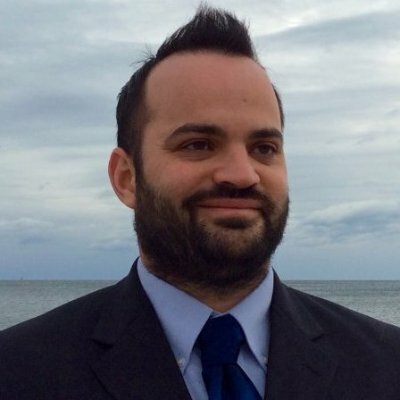 Specifically, we wanted to know how job switchers first heard about their new positions. So, we asked more than 10,000 professionals who changed jobs in the past year that exact question, and their responses were interesting: the number one way they heard about their new job is someone in their network told them about it. The data also revealed the least common ways job switchers heard about their new position. 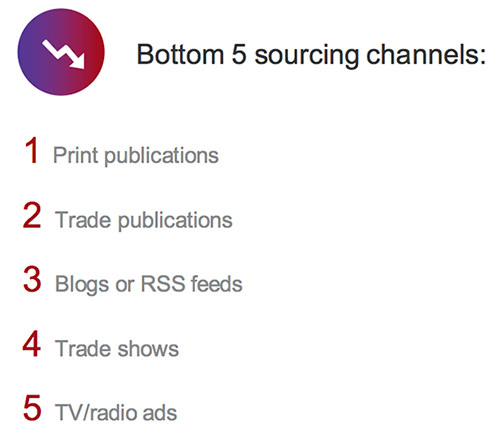 Print publications proved the least effective sourcing tool, behind trade publications and blogs. Of course, that was just how professionals across the world of all ages switched jobs. We found people in different countries changed jobs in different ways, with people from North America most commonly hearing about new jobs from their friends, whereas people from South America most commonly heard about new jobs directly from companies themselves. Looking over the data, there’s obviously a lot of helpful information here for recruiters on where to spend your money. For example, it is probably a better investment to post your job online, as opposed to a newspaper. 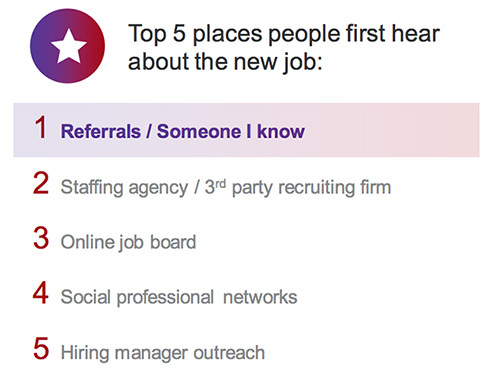 That said, the biggest takeaway is this: the most common way people hear about new jobs is through their own networks. So the best way to recruit top talent is to treat your workers well, as then they’ll act as ambassadors for your company in their own networks and help you recruit more great talent. Bigger picture, most of the time when you people talk about investing money in talent acquisition, they look to the outside: jobs boards, hiring staffing firms to dig up new people, paid ads on the radio. And yet, the data tells a completely different story: if you want to recruit the best talent, the best investment you can make is inside, on your own people. The more fulfilled your employees feel at your company, not only will they be more productive; they’ll also become your most effective recruiting tool.